Dr. Richard Thomas Krajczar (Nov. 23, 1943-Feb. 19, 2019) Write your message of condolences » | Watch livestream Requiem Mass at Brent Int'l School Manila. 50th EARCOS Leadership Conference 2018. Anu Monga head of school Bangalore International School. 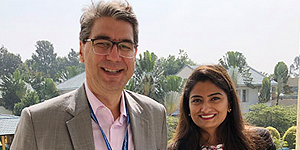 Stonehill International School headmaster Simon McClokey. Visit to Chinese International School Manila, Philippines. Australian International School Phnom Penh casual visit. Recognition of EARCOS ELM Mentors/Mentees. Bill Oldread with Dr. Larry Hobdell. We are pleased to invite you next year Spring Heads' Institute/Retreat in Raffles Hotel Le Royal, Phnom Penh, Cambodia. 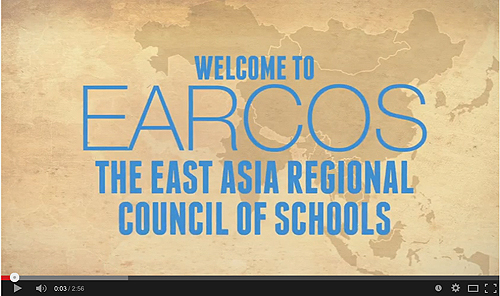 EARCOS is able to offer this opportunity each year to show our appreciation to the heads of our schools. 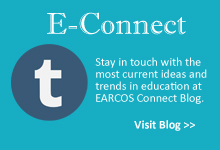 EARCOS and CIS are pleased to announce the 5th Annual EARCOS-CIS Institute on International Admission & Guidance, which will be held on September 20-21, 2019 at the Shangri-La Hotel in Bangkok, Thailand. We are pleased to announce the 51st annual EARCOS Leadership Conference (ELC2019) in Sutera Harbour Hotel. 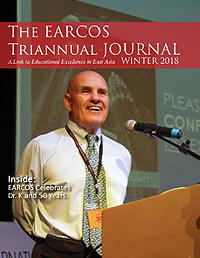 The ET Journal is a triannual publication of the East Asia Regional Council of Schools(EARCOS), a nonprofit 501(C)3, incorporated in the state of Delaware, USA, with a regional office in Manila, Philippines. Approved EARCOS Professional Learning Weekend SY2018-2019. Margaret Sanders 2019 Scholarship Winner. We are happy to announce that Zachary Lopez from International School Manila is our winner for the 2018 Margaret Sanders Scholarship Award. All of us in the EARCOS office and region are proud of her accomplishments and recognition. Non EARCOS sponsored Professional Development (PD) in the Region. 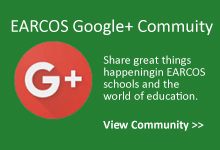 This site provides information about EARCOS past conferences. It includes presenters biography, topics/descriptions and other related material from past conferences. ET Archives allows users to search past covers, articles and download ET Magazine back issues.